In spite of the biting economic hardship, political leaders yesterday appealed to Nigerians to persevere some more, saying there was light at the end of the tunnel and that there was no alternative to democratic rule in the country. The appeal comes as Acting President Yemi Osinbajo addresses the nation this morning on the midterm scorecard of the President Muhammadu Buhari administration. The Senior Special Assistant on Media and Publicity to the Vice President, Mr. Laolu Akande, told THISDAY in a text message yesterday that the Acting President would address the nation but did not give details of the focus of the speech. However, President of the Senate, Dr. Bukola Saraki; Speaker of the House of Representatives, Hon. Yakubu Dogara; Deputy Senate President, Chief Ike Ekweremadu; National Leader of the All Progressives Congress, Senator Bola Tinubu; and former Vice President Abubakar Atiku, have urged Nigerians not to allow their current economic predicaments predispose them to dictatorship, saying it was better to support and strengthen the institutions of democracy to assure a better future. 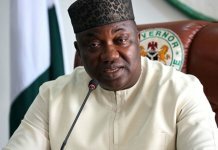 Others who also urged support for democracy included Governor Seriake Dickson of Bayelsa State and President of the Nigeria Labour Congress (NLC), Mr. Ayuba Waba. Since the Chief of Army Staff, Lt. Gen. Tukur Buratai, warned officers and soldiers of the Nigerian Army to shun alleged entreaties from politicians to subvert constituted authority a couple of weeks ago, the nation has been on edge, with many Nigerians calling for a thorough investigation into the alleged security breach and prosecution of culprits. The celebration of Democracy Day and the midterm of President Muhammadu Buhari today has offered political leaders another opportunity to espouse the virtues of democracy and warn dictatorship adherent to stay off the polity. Saraki in his Democracy Day message saluted Nigerians for their perseverance in the face of the prevailing hardships, assuring them that there were better days ahead. “Let us celebrate with hope that the present economic challenges will soon give way to a prosperous country that we can all be proud of. Our democratic institutions need to be strengthened to perform their duties in the service of all Nigerians irrespective of the government in power,” Saraki said in a statement by his Special Adviser on Media and Publicity, Mr. Yusuph Olaniyonu. He called for concerted efforts to build a strong national economy, as a way to ensure the sustenance of democracy in the country, adding that the biggest challenge to democracy in the last 18 years, had been the need to better the living standards of citizens, and ensure even development across Nigeria. He noted that despite the challenges, democracy remained the best form of government, adding that the government of the day was committed to strengthening its institutions and fighting corruption. According to him: “I know there are challenges but these challenges are not peculiar to us. So many countries have had to face these kind of challenges in their developmental strides. Ekweremadu on his part harped on the need to uphold constitutionalism and the rule of law to sustain democracy. Â â€œThe greatest blessings of democracy are constitutionalism, rule of law, respect for human rights, courts, separation of powers, and the ballot box,â€ he said, contending that democracy was not just about good roads, hospitals, electricity, and other socio-economic infrastructure, which are not only grossly inadequate now but could also be provided by a dictator. â€œUnless we apply the breaks and uphold the rule of law and democratic conventions and practices in all ramifications, our greatest losses, moving forward, will not be economic recession, lack of critical infrastructure, among others, but an irredeemably deteriorated civilian rule where the decisions of the courts, letters and spirit of the law, resolutions of the legislature, electoral choices of Nigerians as expressed through the ballot no longer count,â€ Ekweremadu said. He urged Nigerians to defend democracy with all lawful and legitimate means, for posterity sake. In Lagos, Tinubu asked Nigerians to keep and nurture democracy, not for the sake of democracy but for the sake of the country. â€œWe must remember that should we fall asleep, there are those who would like nothing better than to take it from us,â€ he said in a statement by his Media Adviser, Mr. Tunde Rahman, telling Nigerians to be vigilant and ensure a better future and better Nigeria. Atiku said Nigerians should not contemplate having the military back to power, asking anyone toying with such an idea to perish with such thoughts as the worst form of democratic rule had been adjudged far better than the best form of military dictatorship. “Nigerians should be proud of themselves for doing away with military governments in 1999, in favour of democracy, which the World over, gives voice and a sense of belonging to more people in the society,” he said in a statement by his Media Office in Abuja. He said since the return of democracy in 1999, the nation had accomplished a lot in social, economic and human development, adding that in those other areas where the nation was lacking, the system made it possible for the problems to be brought to the public arena for discussion and settlement, in democratic institutions like the National Assembly and State Houses of Assembly. On his part, Dickson insisted that the current form of government had come to stay, challenging those he described as anti-democratic forces who had been working to truncate democracy to rethink because democracy is here to stay. Non-democratic rule, said Dickson in a goodwill message signed by his Chief Press Secretary, Daniel Iworiso-Markson, was no longer fashionable; stating that democracy remained the best system of government. He charged critical stakeholders like members of the National Assembly, civil society organizations and the media not to abdicate their roles to defend and promote the noble ideals of democracy even in the face of constant threats and intimidation. Also opposed to any attempt to truncate democratic rule was an APC chieftain, Alhaji Abubakar Baraje, who warned Nigerians against military interference. 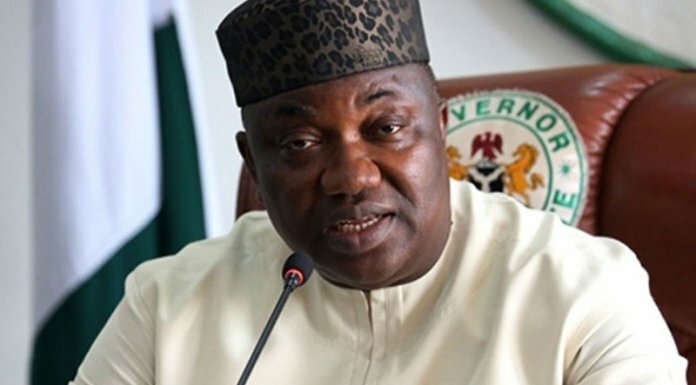 He, however, said the recent alleged plot by some politicians and top military hierarchy to take over the government was uncalled for and charged Nigerians to protect the current democratic dispensation. Baraje spoke in Ilorin, the Kwara State capital, while speaking with journalists on the state of the nation. He cautioned against religious bigotry, ethnicity and acts that could truncate the peace and unity of the country. He called for prayers for quick recovery of the president. The NLC in a statement by its president, Wabba, called on the Chief of Army Staff, Buratai, and the Nigerian Army authorities not only to investigate but to prosecute anybody found culpable in the alleged coup plot. 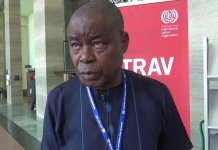 Wabba warned that the organised labour union would not tolerate military takeover of the government. Wabba said that NLC decided to break from its norm of not issuing a statement to mark May 29, because of the sensitivity of the issue raised by the Army and the current socio-economic realities in the country. According to him: “This year, we have decided to break from the tradition and address an issue, which came to light recently. The Chief of Army Staff, Lt-General Tukur Burutai, recently told Nigerians that he had gotten “information that individuals have been approaching some officers and soldiers for undisclosed political reasons. “This thinly veiled statement has been decoded in plain language to mean that some politicians and non-military persons have been approaching military officers to organize a military coup to truncate the current democratic dispensation. Wabba said the military did not only do incalculable damage to the nationâ€™s political culture but also deepened and virtually institutionalized corruption in all segments of national life. “We call on the Chief of Army Staff to go beyond just informing Nigerians and cautioning those trying to derail our democracy to desist from it. Rather, the armed forces should at the appropriate time after concluding its investigation, identify the individuals involved, prosecute them in the relevant courts, and if found guilty given the appropriate punishments as deterrent to potentially ambitious adventurers,” he said. He called on elected public office holders at all levels of government to rededicate themselves and work to make democracy impact the people positively. 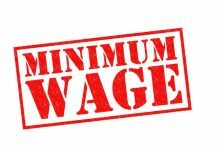 Wabba also cautioned the federal government on the pending demand for the review of the National Minimum Wage, warning that labourâ€™s patience was waning and urged the federal government to use the occasion of the Democracy Day to announce the composition of the tripartite negotiation committee so discussions on the demand could start.